Looking for a fun and inspiring distraction? 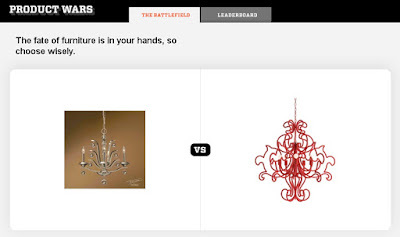 Go check out Product Wars from the evil procrastination-enablers at Designer Pages. It is a perfectly simple idea, beautifully executed. 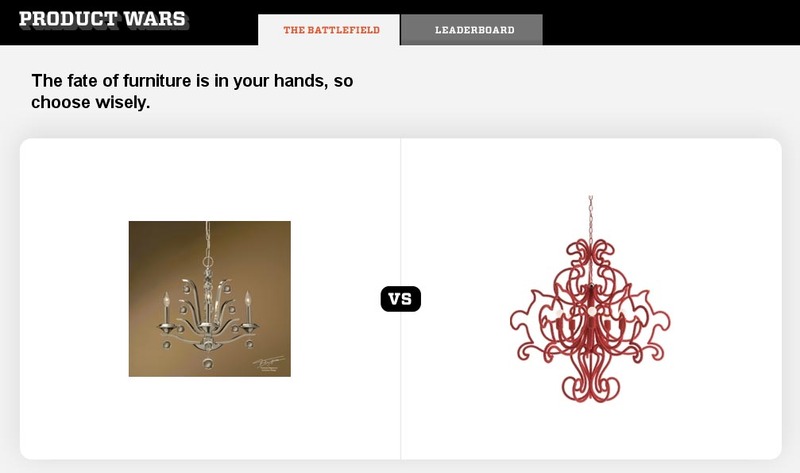 They show you two different items from a certain design category, side by side. And you get to choose which one you like better. Once you have made your decision, you see right away if you are among the ranks of those with obvious good taste or a rebel who goes against the tide. Make sure to hit the orange tab all the way to the left of the page to change up your categories. 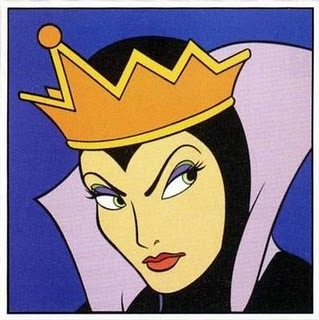 If you do it for too long, you will start to feel like a Queen ruling over her loyal subjects. You! Red Chandelier with the funky shapes - you please me! You may stay. And, you! Traditional Light Fixture, with glass and nickel-plated finish - I am so bored by you! Begone! Try not to let the power go to your head.